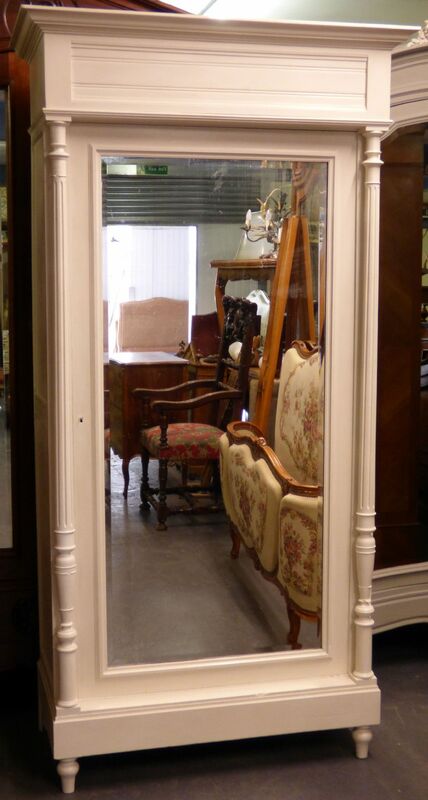 Antique French armoire / wardrobe . 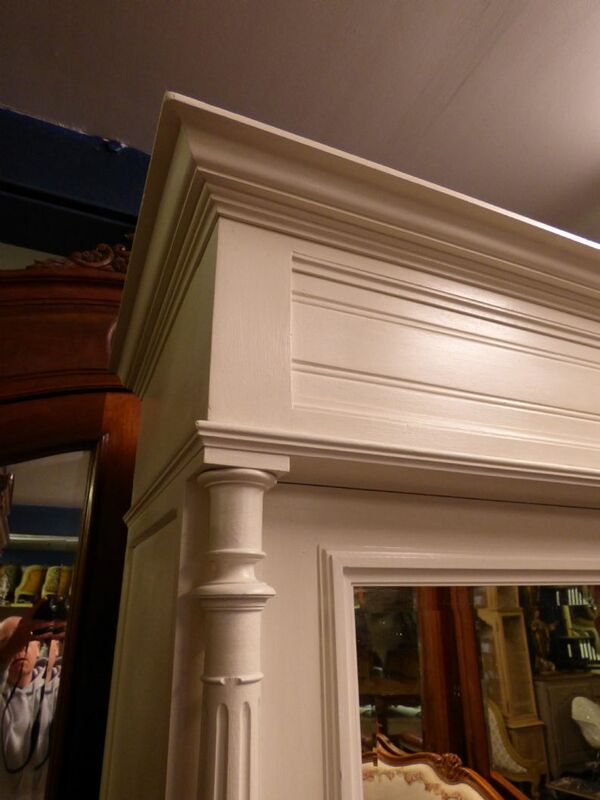 Finished in Farrow and Ball "James White" with a clear wax finish. Only minor signs of wear in keeping with the age and character. 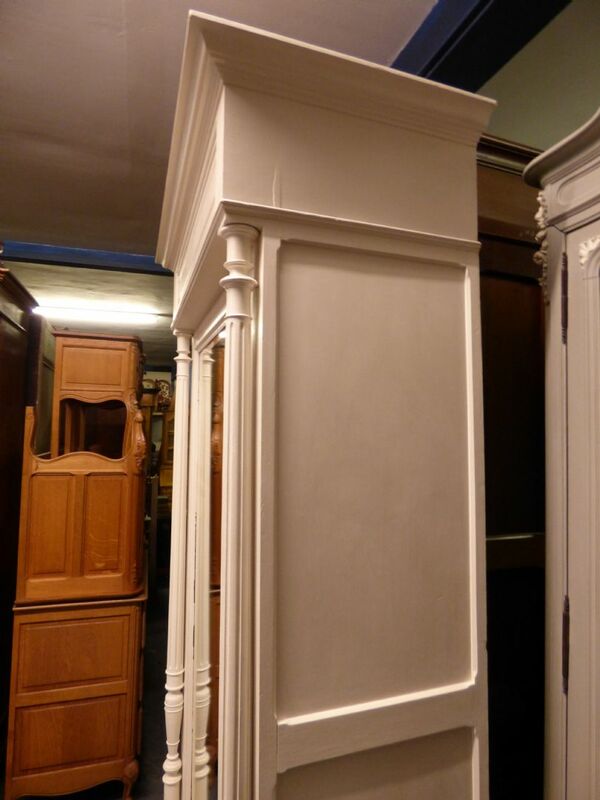 Four drop in shelves that can be put at any level or a rail could be addded. Lock does not work but has dummy key to open it. 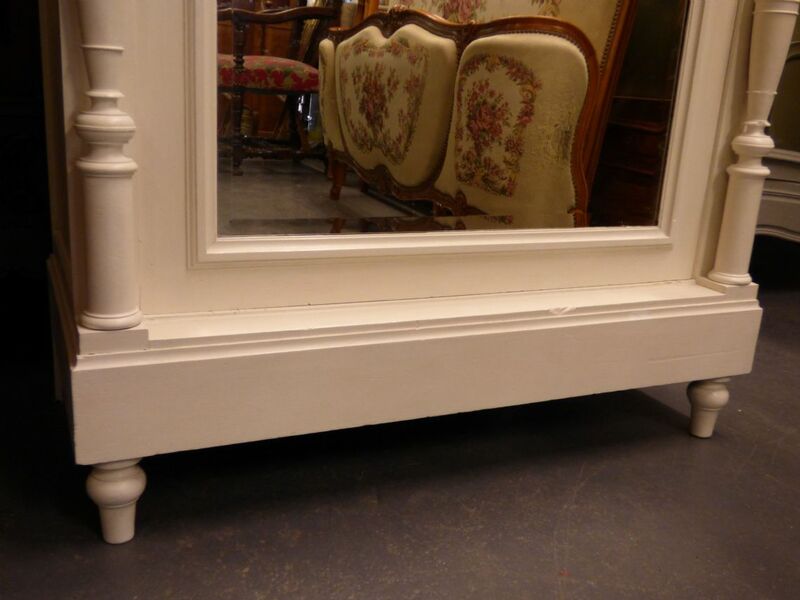 Good example .Lovely bevelled mirror although has slight age misting in places. 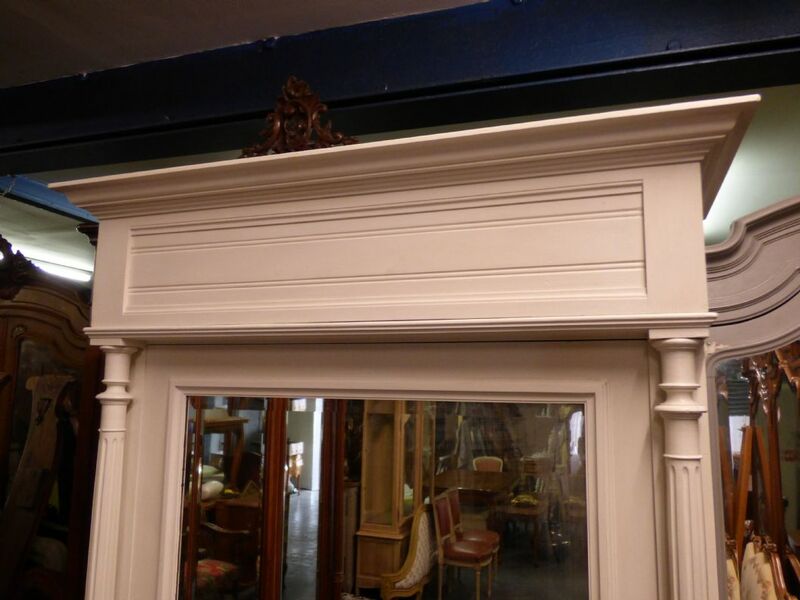 218cm high x 111cm wide x 56cm max. deep.